With “Outliers” at the High and Souls Grown Deep at the Met, has outsider art finally arrived on the inside? The art world is a clubby place, long dominated by artists who are professionally trained, in sync with au courant theories and market savvy. The artists classified variously as folk, primitive, self-taught and outsider, by definition, lack these traits. Their work is generally considered a field apart, separate but not equal: It is telling that the High Museum, which initiated a department and hired its first curator of folk and self-taught art in 1994, is still one of the few museums to have done so. Now comes Outliers and American Vanguard Art, an exhibition that makes a compelling argument that outsiders deserve a place alongside their “professional” peers in the narrative of American art. The show brings together 250 works by 80 trained and untrained artists to chronicle self-taught artists’ relationship to and impact on mainstream art in the 20th and 21st centuries. Organized by the National Gallery of Art in Washington, DC, it will open in Atlanta on June 24. 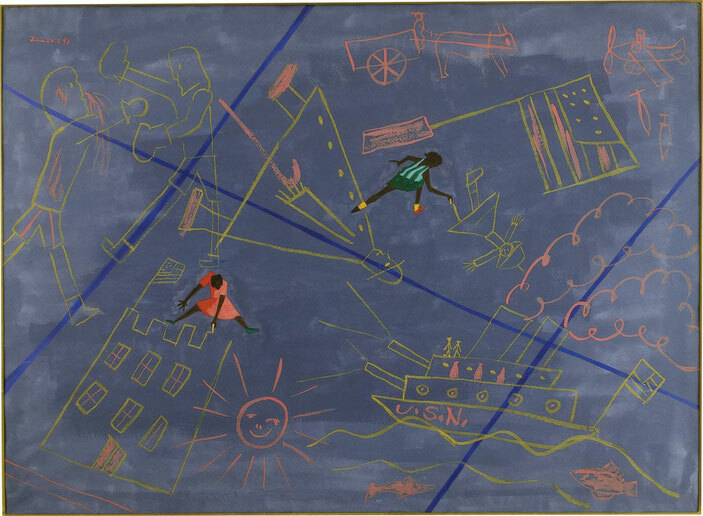 Running concurrently is the Metropolitan Museum of Art’s History Refused to Die: Highlights from the Souls Grown Deep Foundation Gift, which features 30 of the 57 works of Southern African American outsider artists acquired from the Atlanta-born foundation. The Met installed the show in its modern and contemporary art galleries, suggesting that the process of inclusion has begun. You can expect some boundary-breaking moments when the High Museum opens the reinstallation of its permanent collection in October. One example mentioned by Katherine Jentleson, the High’s Merrie and Dan Boone curator of folk and self-taught art: a pairing of civil rights photography and outsider art. Both Outliers and History have been hailed as landmark, discourse-changing exhibitions. Yet, this is not the first so-called watershed moment. What seemed to be turning points in the past were only moments in the art world’s on-again, off-again love affair with outsider artists. This is one of the discoveries that Lynne Cooke, senior curator for special projects in modern art at the National Gallery of Art, made during the five years she researched and mounted Outliers. Cooke identified, and organized, the show around three periods of heightened interest and interaction: 1924–1943, 1968–1992 and 1998–present. Although each period has its own story, even its own geography, there are commonalities. “They are all times of social and political upheaval,” she said in a phone interview from Washington, DC. “There was a radical and fundamental questioning of norms, standards and conventions. Art-world artists looking for different models found affinities in [outsider art]." Individuals committed to changing perceptions of outsider artists were also important in each period. Beginning in the ‘80s and continuing to this day, Atlantan Bill Arnett has played a singular and far-reaching role in bringing recognition to African American self-taught artists. 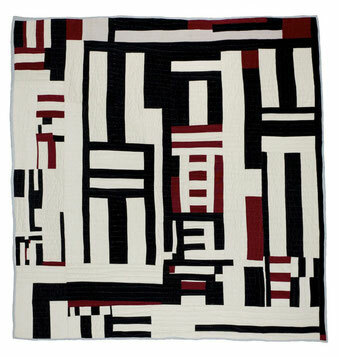 He discovered or brought to the fore such major artists as Thornton Dial, Lonnie Holley and the Gee’s Bend quilters. He collected more than 1000 works by 160 artists, much of it made of ephemeral materials by artists too poor to care for their work. In addition, he organized exhibitions such as Souls Grown Deep for the 1996 Olympics (another landmark exhibition), underwrote exhibit catalogs and scholarly research, epitomized by the two-volume Souls Grown Deep: African American Vernacular Art (Tinwood Press, 2000, 2001). When I was a grad student, my advisor plunked Souls Grown Deep on his desk and said, ‘You need to read these,’” says Jentleson. “It was the same for others of my generation coming up in the field. This is a resource that never existed before, and it goes way beyond what museums can do in exhibition catalogs. It includes the artists talking about their art and so many photos of the artists and their works. The ongoing work of the Souls Grown Deep Foundation is one of the reasons that Jentleson believes this moment will have more staying power than the previous ones. The foundation has begun the process of dispersing its collection to museums that commit to the care and exhibition of the work. One recipient, the de Young in San Francisco, has announced plans to integrate its holdings of self-taught artists into its modern and contemporary holdings. Seven museums, including the High, have made acquisitions, and the foundation is in dialogue with 11 more. The distribution of so many works in institutions across the country cannot help but enhance the art’s visibility and credibility. Jentleson also cites the broad institutional support for Outliers as evidence. The Center for Advanced Studies of Visual Art, a prestigious art history think tank not typically interested in this material, and the Getty Museum underwrote Cooke’s research. Powerful museums are involved: The National Gallery organized it, and the Los Angeles County Museum of Art is a tour stop. She believes that Outliers will be a beachhead. Henceforth, outsider art’s historical sweep, national scope and complex interconnection with mainstream art will be hard to deny — not to mention its richness. On one hand, visitors can marvel at the singularity of many self-taught artists’ work and understand why they were, as Jentleson says, “muses for so many [mainstream] artists who were interested in anti-traditional ways of looking at the world.” On the other hand, visitors will be confronted with works by trained and untrained artists so similar in concerns, materials and formal sophistication that they will be hard-pressed to tell which is which. Cooke is more circumspect about the future and modest about the potential impact of her work. “One exhibition doesn’t produce a revolution,” she says. But she does acknowledge that the zeitgeist could help. Diversity and inclusion are dominant issues in the museum world, as they are in the larger culture. As women and minorities enrich the white, male-dominated narrative of American art, surely museums can make room in the canon for self-taught artists.